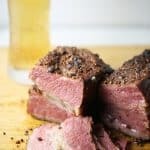 Would you like to know how to smoke corned beef? 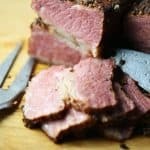 I would like to share a Smoked corned beef brisket recipe that my family is always coming back to make. 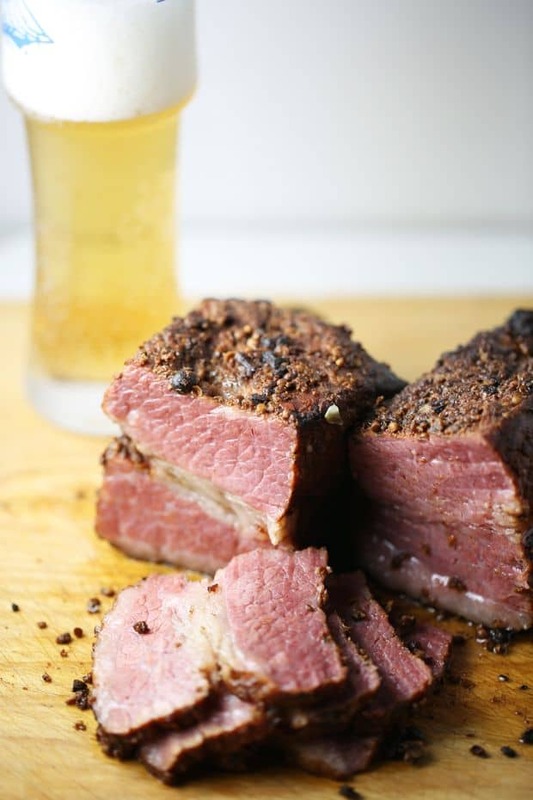 Perfect for Saint Patrick’s Day or simply if your are in the mood for an amazing smoked corned beef. I will admit although we like to eat healthy, I love my barrel smoker. That’s were the real BBQ experience starts, and true smoky flavors come alive. So the story behind the brisket goes back to last March where our local barbecue restaurant came up with great corned beef. I wanted to know how to make corned beef brisket. 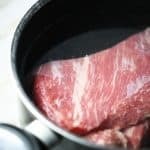 A few words about the brisket itself; Corned beef is a cut of meat that was cured or pickled in a brine with a large grained rock salt, otherwise known as “corns” of salt. I purchased a 3.5 pound brisket from our local meat market and began thinking about ideas for the corned beef rub. I also added two tablespoons of paprika. Remember just a bit above we were talking about the brisket being brined with salt? So naturally it might be just a bit too salty if we were to cook it without soaking it in water first. I did keep mine in water overnight. The next day, the brisket was ready for spicing. Pad the brisket with two tablespoons of olive oil, add the dry rub spices then it’s ready for the smoker. Here it is my 30 gallon drum smoker! or should say Pit barrel cooker. This were smoked corned beef brisket gets it’s amazing flavors. It took me about 1.5 hour to get to 160 degrees F. I usually smoke meat a bit longer than that, but in this case i wanted to try something new. So pulling the brisket out and transferring to a a large pot with steam basket in it. The brisket came out fantastic, it was so tender and delicious a true master piece. 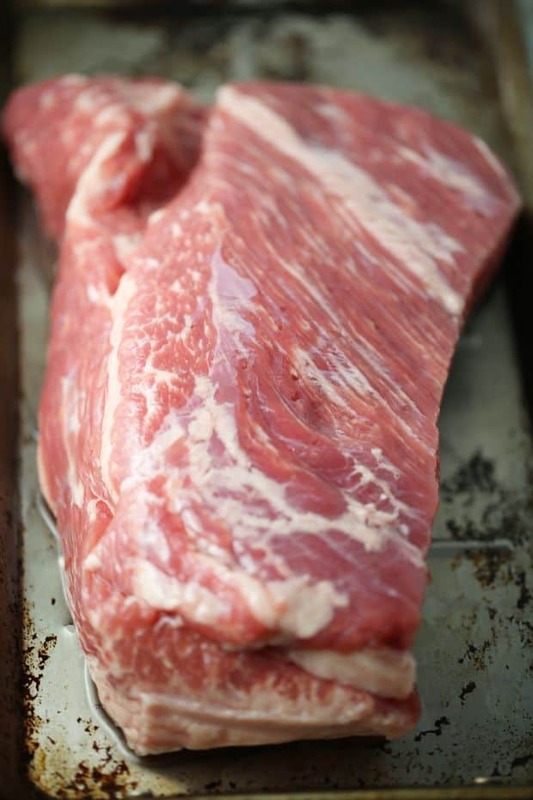 Amazing corn beef recipe for anyone who loves good tasting barbecue! 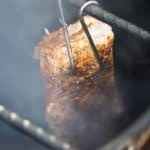 Are you ready to bring your barbecue to next level? 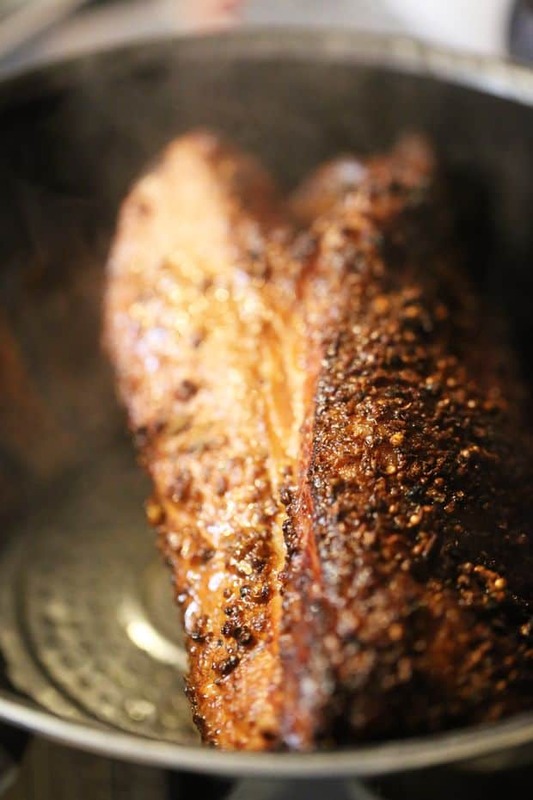 Follow this recipe for a mouth watering smoked corned beef brisket. 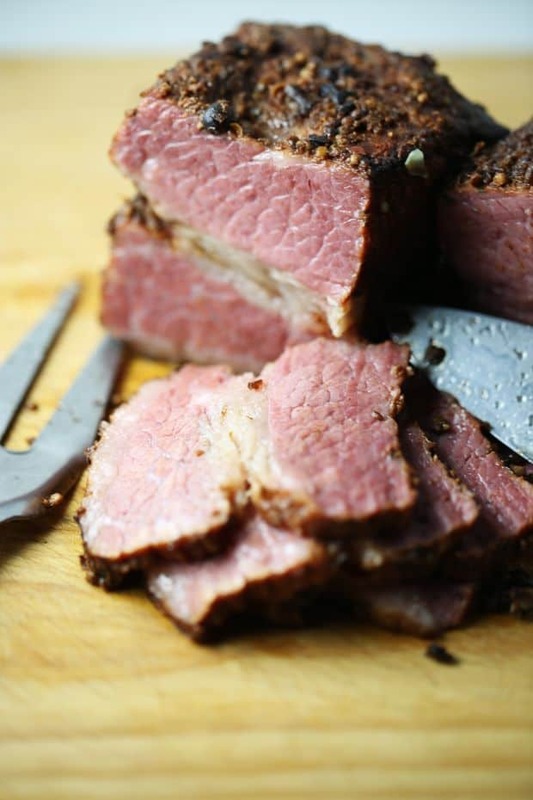 Smokey flavors and tender brisket will be a perfect corned beef meal for any occasion. 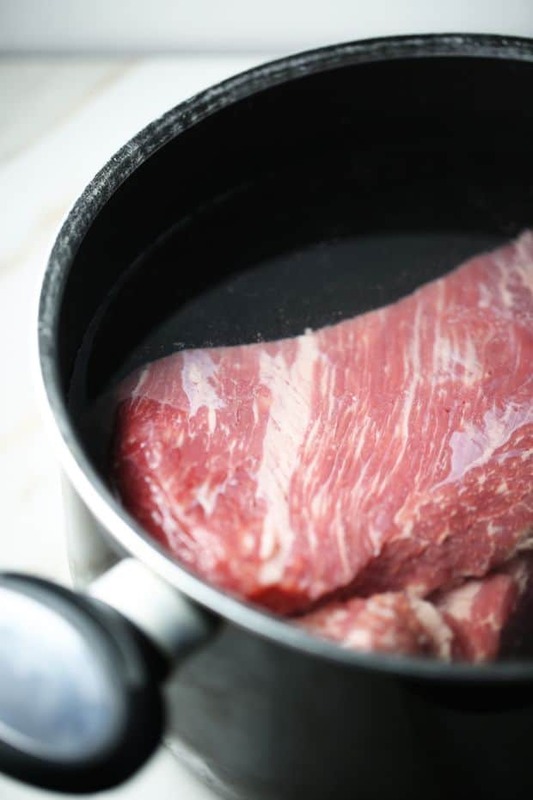 Wash the brisket in the cold water and transfer into a large pot. Marinade overnight in water. Next day pull out the brisket from the fridge and prepare for seasoning. 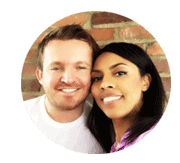 Rub it with two tablespoons of olive oil on each side. 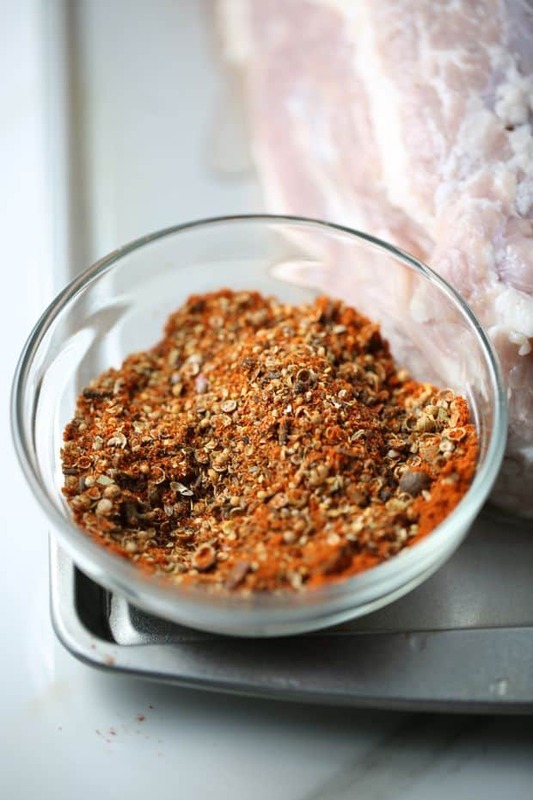 For the rub use three tablespoons of pickling spices and two tablespoons of paprika. I put mine into a food processor and blend it for about ten seconds to crack all the seeds. That, in turn, will release great aroma and it will smell fantastic. Transfer the brisket to a smoker. 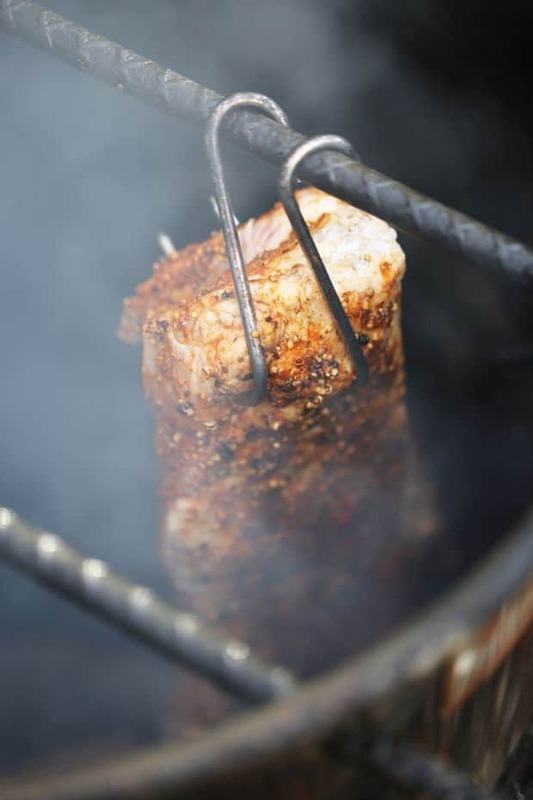 I use charcoal pit barrel smoker. It's a 30-gallon drum that smokes in a vertical position. It took me 1.5h to bring the brisket to an internal temperature of 160 F.
Pull the brisket from the smoker and transfer into a large pot with steam basket. Steam for about 45 minutes or until internal temperature reaches 200 degrees F. Let it rest for 15 min, slice afterwards and enjoy! Steaming the brisket is such a great idea! Thanks Frank! It sure makes the brisket nice and tender.